Microsoft SkyDrive is a free service for online storage of files and data. It provides 25GB free storage space and you can browse stored files within web browser through official skydrive website. Now you can do that same through default Windows Explorer interface by installing SkyDrive Explorer plugin (extension for Windows Explorer). 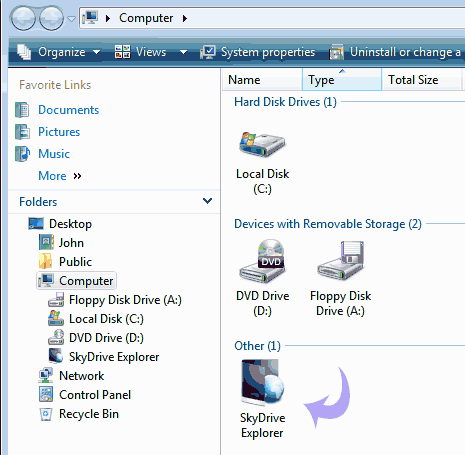 After the install, it creates SkyDrive Explorer icon in the MyComputer window. 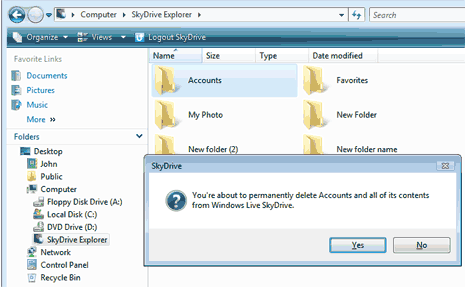 You can click it, login into SkyDrive account and access all the files within Windows Explorer interface. Further you can copy more files or delete existing SkyDrive contents from Windows Explorer. Grab SkyDrive Explorer and access SkyDrive contents like never before!